This article is for the beginners who have just begun programming in the C# language with solutions for all the basic problems of the C# programming. Today I am writing this article for the beginners who have just begun programming in the C# language. I have solved all the basic problems of C# programming and also I have included some sections of OOP in this article that I will show you in the next part of this article series. I have created made three article of this article series, each part contains 14 problems. Anyone that reads this article series with full concentration and that practices on their own, I am sure he/she will become very familiar with the basics of C# programming. I have provided every problem in the form of a question and a solution. Let's start. Write a program that converts 1 lower case letter ("a" - "z") to its corresponding upper case letter ("A" - "Z"). 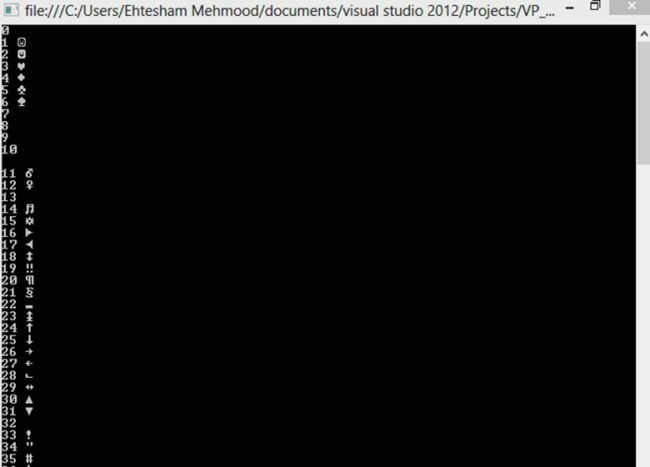 For example if the user enters "c" then the program will show "C" on the screen. Hint: You need to check the ASCII value in your program. 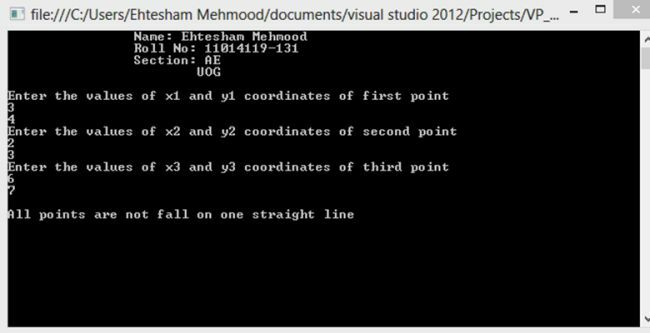 Write a program that takes three points (x1, y1), (x2, y2) and (x3, y3) from the user and the program will check wheteher or not all the three points fall on one straight line. 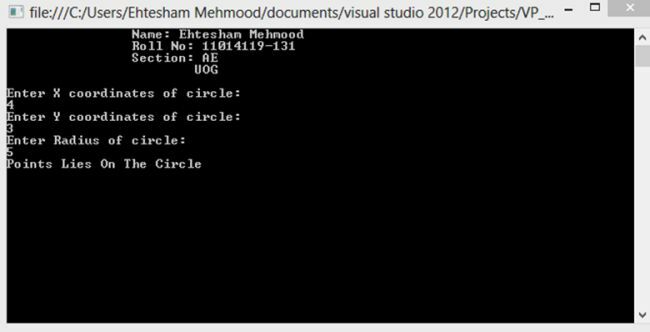 Write a program that takes coordinates (x, y) of a center of a circle and its radius from the user, the program will determine whether a point lies inside the circle, on the circle or outside the circle. Write a program that takes a character from the user and determines whether the character entered is a capital letter, a small case letter, a digit or a special symbol. The following table shows the range of ASCII values for various characters. I -> convert from inches to centimeters. G -> convert from gallons to liters. M -> convert from mile to kilometer. P -> convert from pound to kilogram. If the user enters any other character then show a proper message. In a company, worker efficiency is determined on the basis of the time required for a worker to complete a specific job. If the time taken by the worker is between 2 - 3 hours, then the worker is said to be highly efficient. If the time required by the worker is 3 - 4 hours, then the worker is ordered to increase their speed. If the time taken is 4 - 5 hours then the worker is given training to improve his speed and if the time taken by the worker is more than 5 hours then the worker must leave the company. If the time taken by the worker is input through the keyboard then find the efficiency of the worker. Write a program using a switch statement that takes one character value from the user and checks whether the entered value is an arithmetic operator, logical operator, conditional operator, relational operator or something else. Write a program that prints an identity matrix using a for loop, in other words takes a value n from the user and shows the identity table of size n * n.
Write a program using a for loop that prints the following series. 1 2 4 8 16 21 64 128 …nth iteration. 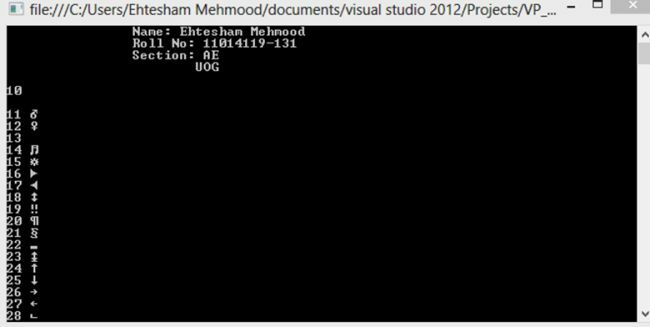 Write a program using a loop that prints the following output. 1 2 2 3 3 3 4 4 4 4 5 5 5 5 5 6 6 6 6 6 6 . . . nth iteration. Write a program to print all the ASCII values and their equivalent characters using a while loop. The ASCII values vary from 0 to 255. Write a program to print all the ASCII values and their equivalent characters using a do-while loop. The ASCII values vary from 10 to 255.